When you think Mardi Gras, you probably conjure a kaleidoscope of vibrant colors, outrageous costumes, and hear the raucous din of parades. While excess is the name of the game when it comes to Carnival, there is a specific reason for the season. Mardi Gras began as a prelude to Lent, spanning forty days and observed by Catholics, Methodists, Lutherans, and others. During Lent, certain luxuries are forbidden and many practice periods of fasting. It makes sense that before embarking on long periods of abstaining from indulgence, you’d want to throw yourself into a little celebratory excess as a last hurrah. Mardi Gras is also called “Fat Tuesday” not only because it occurs before Ash Wednesday, but also because it is the culmination of the season of Carnival, celebrated in many countries where French or Creole is the official language. For Christians, it’s a bit of a last indulgence before buckling down. 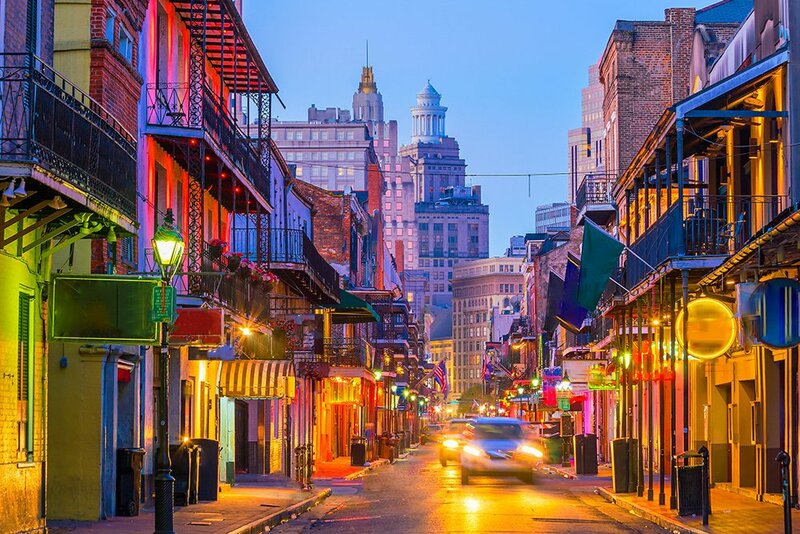 There’s no better place to enjoy excess than these Mardi Gras celebrations, known the world over as some of the most flamboyant expressions of Carnival. You just can’t talk Carnival without giving a nod to the biggest Mardi Gras celebration in the world. Rio has been putting on a lavish, five-day festival of parades, music, and dancing since 1723. Today, 70% of visitors to Brazil’s most dazzling seaport come during Carnival, crowding Rio’s streets with nearly two million tourists. One word you need to know how to pronounce before you go? Samba (sam·ba). This widely spoken Portuguese term refers to both a dance as well as the schools Rio’s Carnival parades organize themselves in. 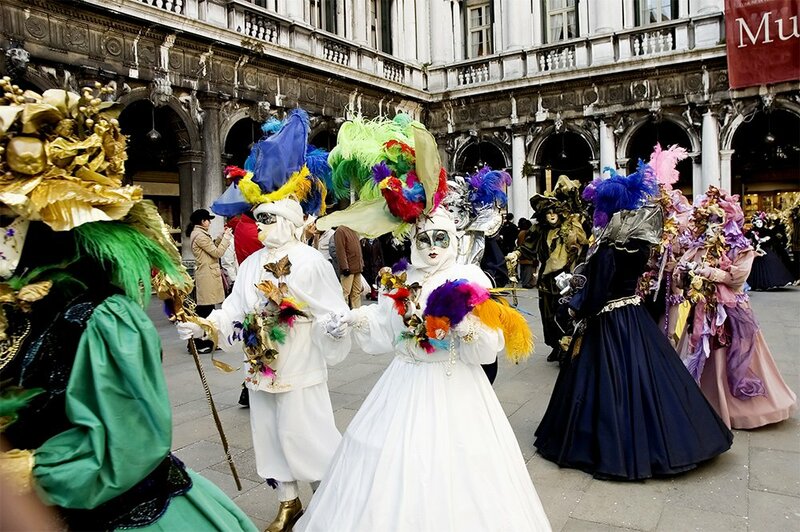 A holdover from the Renaissance, this Italian Mardi Gras celebration is known for elaborate masquerade balls, featuring gorgeous, intricate masks. King Frances II, outlawed Carnival in 1797, and the masks were forbidden for centuries but began to reemerge in the nineteenth century. The ban on Carnival was lifted in 1979 and creating the masks became a full-time occupation for the robust Venetian tourism industry. Today, there are eight different kinds of masks, or as Italian locals say maschere (mask•era), and a contest judged by international fashion designers. Lavish parades and a vibrant tradition of music are the hallmarks of African Mardi Gras celebrations. Carnival is observed primarily in along the cape, where the islands each have their customs. The largest, Mindelo, is home to the biggest parade on the African continent. If you here locals say “bonjou” (bon-jew) instead of “bonjour,” you’re not mistaken. Cape Verde speaks a specific dialect, classified as a Portuguese-based Creole language. It is both the oldest and the most widely spoken Creole. Not to be outdone by their Italian neighbors, Nice sports one of the world’s largest celebrations of Mardi Gras, focused on festoons of flowers. This glamorous city of the French Riviera gets decked out in elaborate, blossoming parade floats that take over the streets. The Bataille de Fleurs(bataij de fler), a French phrase that means ‘Battle of the Flowers,” takes place beside the sea on the famous Promenade des Anglais, a famous French street. It’s reported to take 72 hours just to pick the 3,000 flowers that adorn the floats. This Spanish-speaking city, nestled near the Caribbean Sea, has one of the largest Carnival traditions dating back to the early 19th century. A “Battle of the Flowers” kicks off this four-day extravaganza of parades and music, named by UNESCO as a Masterpiece of the Oral Intangible Heritage of Humanity. An important part of the celebration is listening to cumbia(koom-byah) music, an infusion of Caribbean, African, and European music popular in Latin America. Many of the islands colonized by the French have a vibrant Carnival tradition that relies heavily on calypso music, but Trinidad and Tobago are the epicenter of Mardi Gras in the Caribbean. Calypso and Soca are the two most popular forms of music played during Mardi Gras, featuring steelpan drums. Celebrations open with J’ouvert (jou·vay) or Jour Ouvert (jour. ouver), which is the French word for “day opens,” where people cover themselves in mud, oil, and paint and dance for hours to Soca rhythms. Brought to this Indian seaport in the early 1500s by the Portuguese, Carnival has become a mesh of traditions that are unique to Mardi Gras and shared with other Indian festivals like Holi. Celebrations in Goa feature vibrant colors, parades, and four days of feasts. If you hear the Hindi phrase bura na maano (bur·a·na·man·o), you may want to duck. It translates into “no offense” and it’s typically what the locals say before they lob a color bomb your way. Inherited from French Mardi Gras celebrations, this winter version of Carnival can seem a bit tame in comparison but is every bit as lovely. Events include fashioning sparkling snow sculptures and outdoor sporting events and competitions. 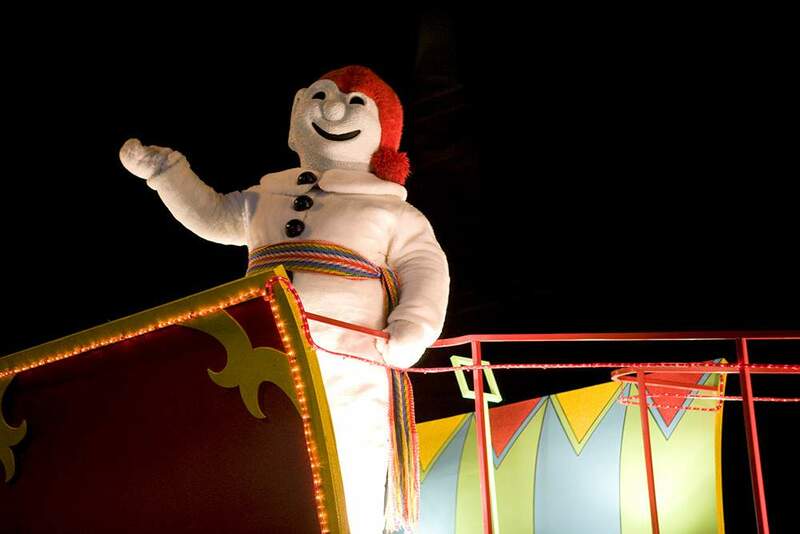 The mascot of Quebec’s Carnival is a snowman, referred to as bonhomme de neige (bon·om·day·nej) in French. This title of the French theme song heard during the parades, “Salut Bonhomme” is an homage to the snowman master of ceremonies. 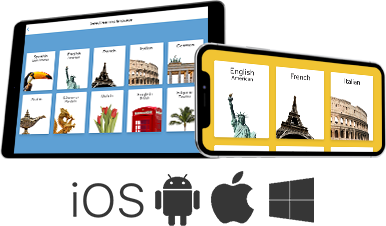 When you book your trip for Mardi Gras, don’t forget to take Rosetta Stone along with you. Try it for yourself.